#f52contest is our newest, fastest way to share recipes—on Instagram! Our latest theme: Soups and stews. We have a faster, easier way to share your recipes and photos with us: Instagram! Each month, we'll pick an ingredient or a theme and ask you to tell us about what you're making through photographs and captions. And for this contest, we want to see how you're cozying up as the weather gets colder. Do you go for a smoky, bean-filled chili? A thick beef stew? A spicy carrot-ginger purée? 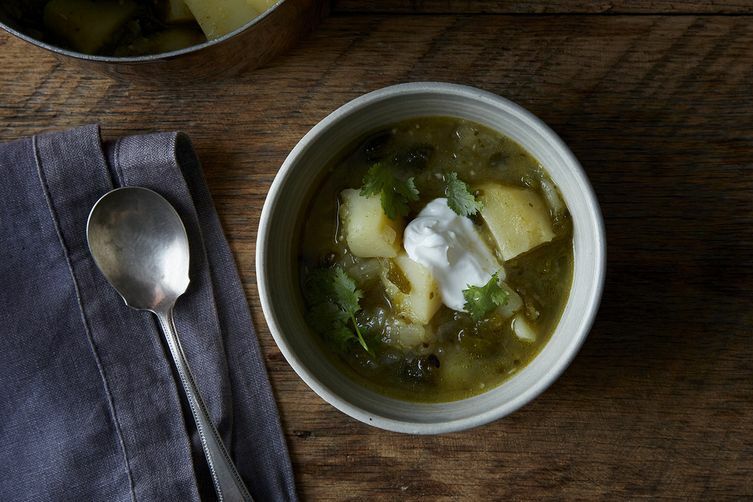 Show us your very best soups and stews. 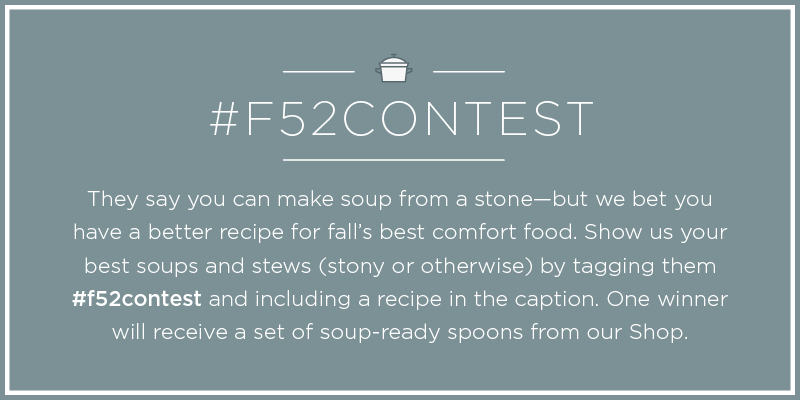 Take a photo of your best soup or stew and be sure to use the hashtag #f52contest. When you tag your photo, it will appear below for everyone to admire. At the end of the week, one winner will receive a set of soup-ready wooden spoons.